Liberal Gov. 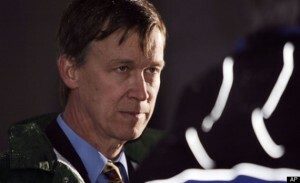 John Hickenlooper unveiled a new ridiculous plan to provide affordable housing to Colorado’s artists in nine rural communities. We have to ask – is this another chapter on the War on Rural Colorado? Force a bunch of alleged artists with free or discounted housing to mingle with a bunch of rural folks working their tails off to make ends meet? Sounds like a recipe for resentment. The plan comes with a $50 million price tag. According to 9News, a spokesperson for the state did not identify how much of the $50 million would come from private donors vs. taxpayers. Might we kindly suggest that none of the $50 million come from taxpayers? If private donors want to create a series of nine artists’ colonies, they should do that. But, this seems like a massive waste of taxpayer dollars. This is especially true since the definition of artists will be loose. Among the possible job descriptions are: architect, brewer (wait a minute…), filmmakers, and more. Apparently, the plan will start in Trinidad. No word on whether the program’s administrators consider doctors to be artists.